Bio: As long as Amanda could remember, music was woven into her life. She started piano at the age of 5, choir in second grade, viola in third and band in middle school. All through middle school, she played percussion instruments her favorite being the drum set and the timpanis. 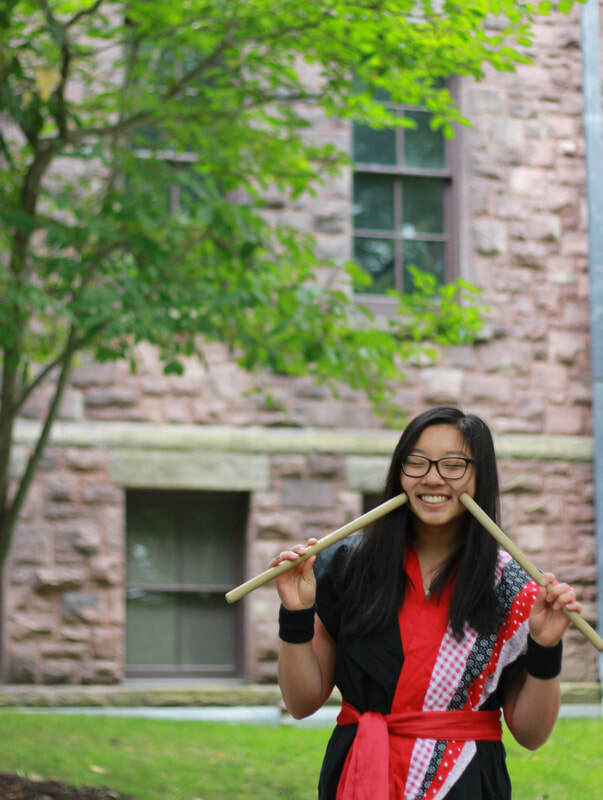 And although she only kept up with piano all through high school, her love for rhythm and drumming never faded. The first time she saw Yamatai at the Mid Autumn festival her freshman year, she thought Yamatai and the performers were the coolest. Sadly she had already missed tryouts, but that didn't stop her from joining the best club ever on campus her sophomore year!